Parents have arrived. They're only here for a long weekend, but it's lovely to have them over. They came with moose meat, smoked salmon and sourdough rye bread, Marimekko napkins and salty licorice. And Lonkero for husband. 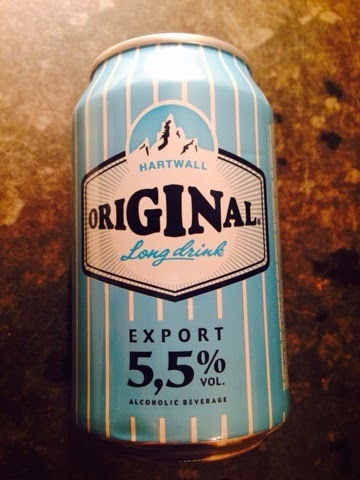 Lonkero is a great summer drink - we make it here from Ting Caribbean Grapefruit lemonade and gin, but of course the Finnish proper stuff in the original blue can is the real thing. The first time husband tasted Lonkero was a Midsummer at our summer cabin, his first visit to Finland. It's an old cabin on a small island in the Finnish lake district. The island and the house used to belong to my mother's father. I spent all my childhood summers there and now we both love the place. On that Midsummer we sat through the white night outside on the beach around a fire drinking beer and lonkero with my sister and brother and their partners, listening to Finnish music and watching the sun dip just below the horizon and then come up again over the cold blue water. So tonight parents came on a late flight, which was delayed even further, so we had a very late supper. I had prepared my Smoked Reindeer Soup, which I quickly heated after we got home from the airport. It was really delicious, they both liked it a lot. And I just served some ciabatta and seeded bread slices and a couple of cheeses with the soup. I was originally going to make some goat cheese quesadillas to go with it, but it was too late for that I felt. Dessert is my weak point. I don't have much of a sweet tooth myself so I don't often make desserts. My mum will always have something. Husband has threatened to complain to my mum that I don't give him desserts and it would be a justified complaint. For mum and dad I will clearly have to make the effort, otherwise I don't think they would know how to leave the table. So tonight I made a very simple dessert which was nice as it was midnight by the time we got around to it. 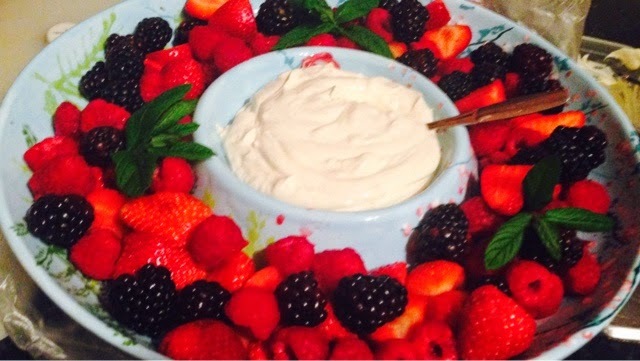 I served some fresh strawberries, raspberries and blackberries with a mixture of creme fraiche, whipping cream and vanilla paste. It looked lovely and went down a treat with a sweet dessert wine. Really there is not much use for a recipe here, it is so easy. Mix all the ingredients and whisk a little so it thickens to the consistency of your liking. 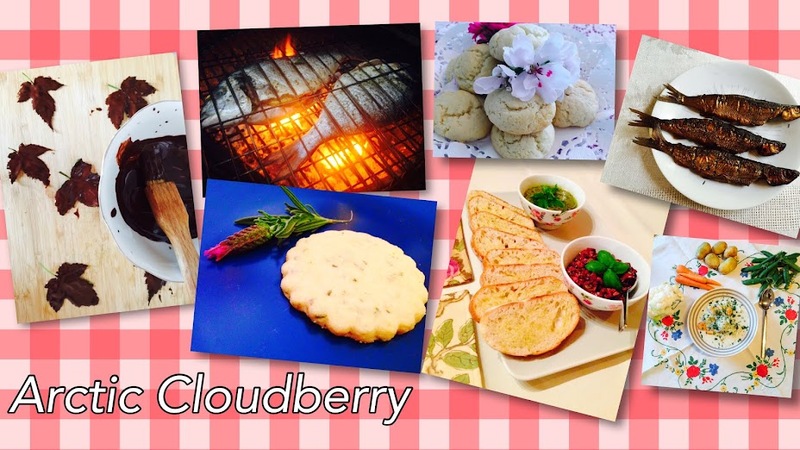 Serve with a mix of fresh berries.